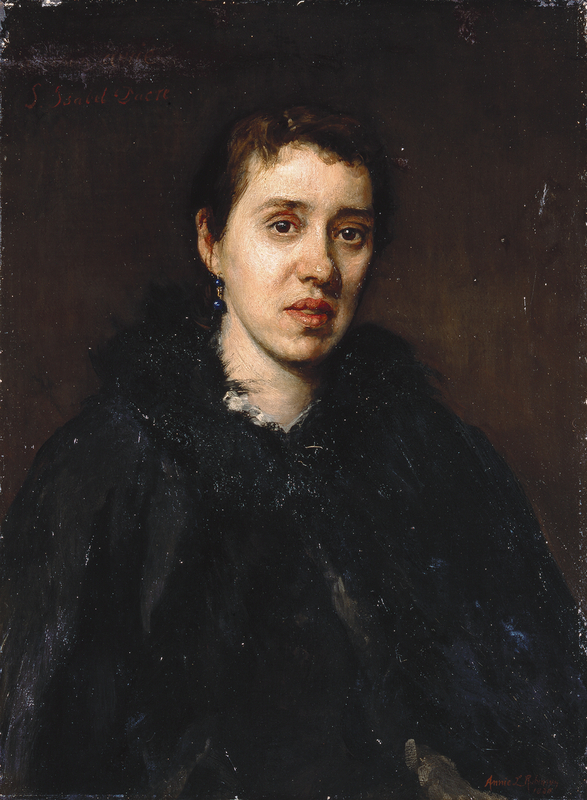 Half-length frontal portrait of artist Susan Isabel Dacre, with short dark hair and a black fur-edged cape about her shoulder. She turns her face slightly to the right. Plain dark background inscribed in top left corner with the dedication 'A mon amir / S. Isabel Dacre'.